Table top easels are an essential part of an artist’s life. They must be functional, hold the essential supplies, and be easily mobile. There’s no point in being inspired to paint a beautiful landscape when you need to wait until you get home to access your supplies. Leave the bulky supplies at home. Discover the inexpensive table top easels that let you go where your creativity takes you. Some of the best easels for painting or displaying your finished projects don’t have to cost a fortune. Any inspiring locale can become your studio with the right table top easel. Where to buy an art easel won’t be a difficult decision once you know the type you’re looking for. 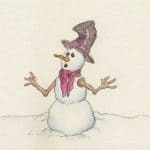 Beginners, children, professionals, or art students can find inexpensive table top easels to accommodate their artistic needs with some simple research. Before you roam aimlessly through your local craft store, read our list of table top easels to get an idea of what may work best for you. 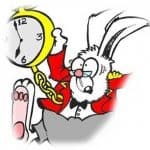 If viewing from Canada or the United Kingdom article links will be diverted to amazon.Ca or amazon.co.uk and may be substituted for an equivalent model if the selected model is not available in your country. 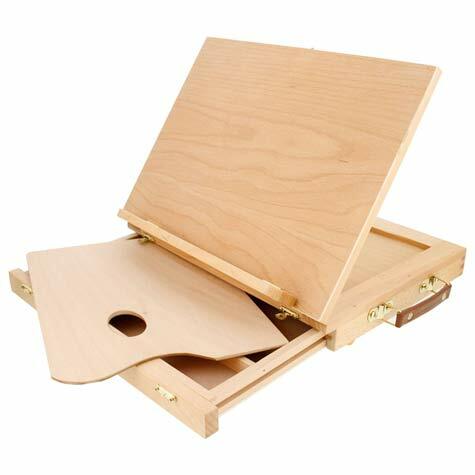 Designed for the artist on the go, this is an excellent table top easel for painting. The easel has cutouts rather than a solid work surface, adding to its lightweight design. A canvas up to 11 x 14 inches fits easily and won’t shift. Find the perfect position with the four adjustable inclines. 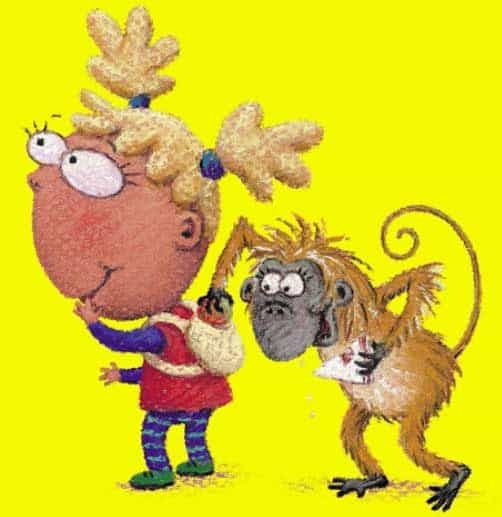 Do you have too many supplies to fit in your backpack? 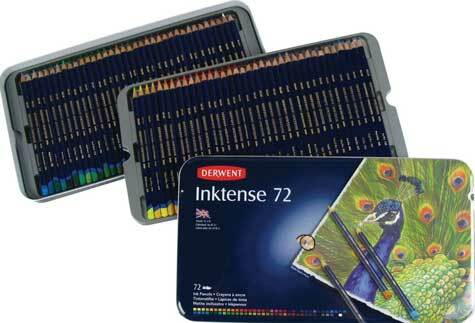 Store them in the pull-out drawer located under the easel. The drawer is sectioned into three separate compartments to hold all your supplies. Made from lightweight wood with brass hardware makes this table top easel functional yet aesthetically pleasing. It mimics a miniature desk when it’s opened. When you’re finished, it folds flat to look like a stylish briefcase complete with an easy-grip handle. 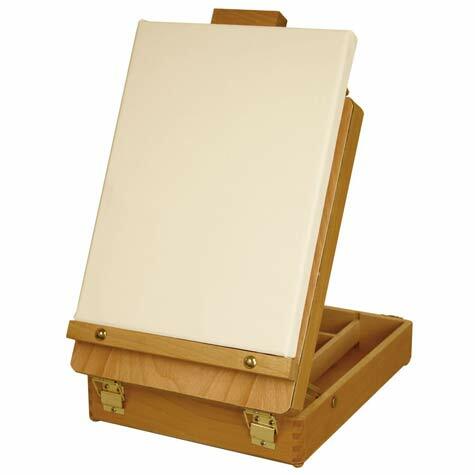 One of the more inexpensive table top easels, beginners and pros will enjoy the portability and exceptionally nice design of this easel. As another alternative to making a large investment into what may be just a hobby, this inexpensive table top easel is functional and budget friendly. Made from pinewood, its attractive design offers portability and essential storage space. It opens to hold an 11 x 14-inch canvas. The kickstand fits snugly into precut notches to offer four adjustable inclines. The drawer underneath slides open to reveal one large storage space. The faux leather handle adds a nice touch while making it comfortable to transport. This table top easel’s simple design lets you set up fast and effortlessly to paint or showcase your finished work. With a four-position adjustable incline, this table top easel makes drawing and painting a breeze. The kickstand behind the easel secures it in place. 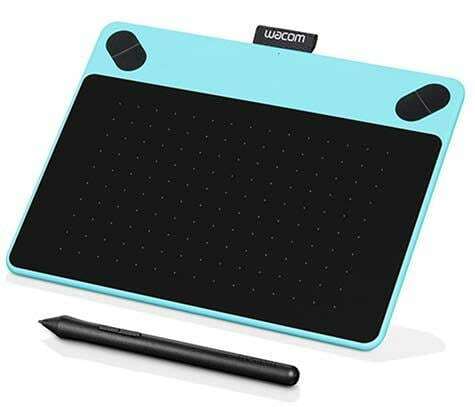 The workspace can hold a canvas or drawing pad up to 11 x 14 inches. Below the flat top is a drawer that is nicely divided into three various sized sections. Organize your brushes, pens, markers, and other artistic gear. Don’t worry about anything falling out because the drawer can be locked when closed. The wood design is attractive, but yet it’s lightweight enough to offer easy portability. The soft handle makes toting it with you effortless. Easily take your supplies with you and set up anywhere you, please. Feel like drawing when you can’t sleep at night? Set up this table top easel in bed and forget insomnia. When you’re not painting, fold it up, and use it as a safe storage unit for your supplies. 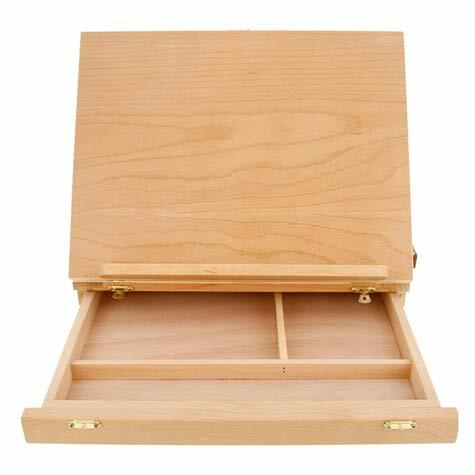 Get ready for a more spacious table top easel with a generous amount of storage for those more monumental projects. With a substantially larger workspace of 21 inches, you’ll have ample room to paint and draw with ease. Adjust the incline to an unlimited array of positions anywhere ranging from lying completely horizontal to a full vertical angle. An adjustable arm slides up to employ more workspace as it holds the canvas in place. The hand-sanded beech wood is attractive and lightweight. 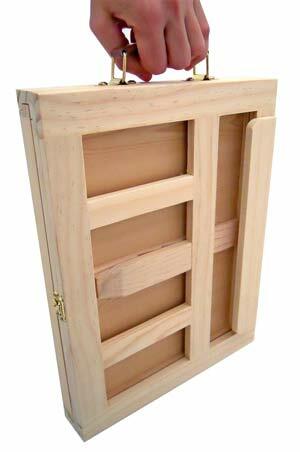 Store your artistic items in the drawer that boasts four compartments separated by wooden dividers. Lock it up, and grab the comfy handle, and you’re on the move. 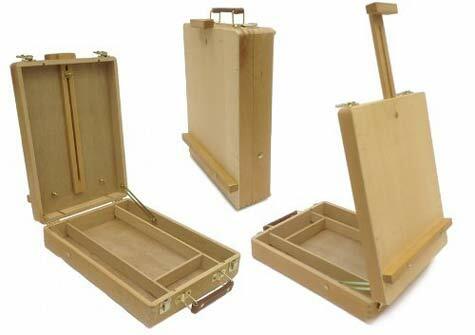 Possibly one of the best easels for painting, this is truly a complete art studio in a box. 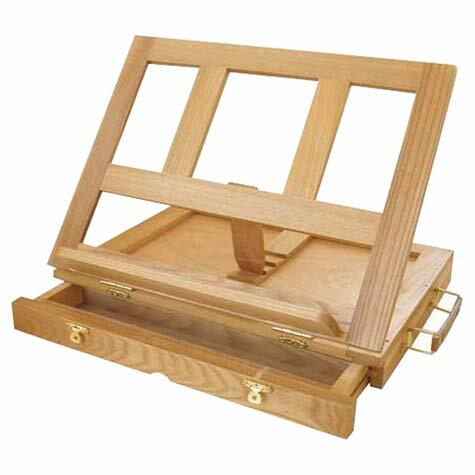 The attractive beech wood easel opens to accommodate a canvas or drawing pad up to 20.5 inches high. 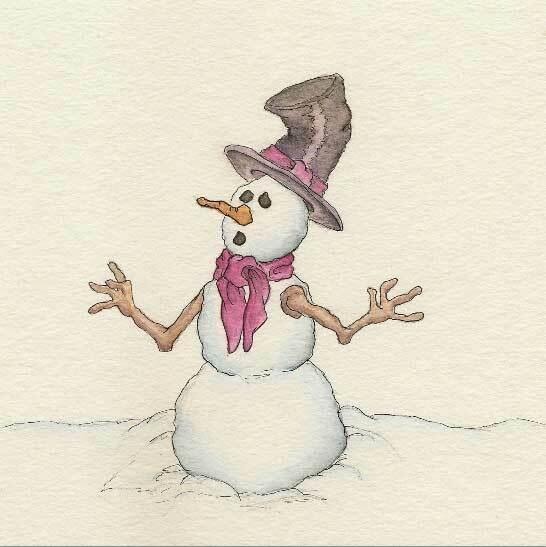 The adjustable arm slides smoothly up and down to hold the canvas in place. The easel itself can be adjusted to four different inclines. The hidden drawer underneath is broken into four sectional compartments. 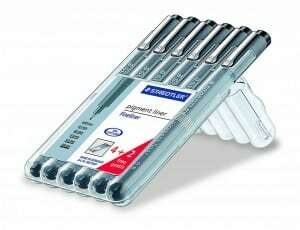 Store your brushes, erasers, and pencils while keeping them organized. Along with this table top easel, a paint palette is included. Get a canvas and some paint, and your art studio is complete. When you’re done, fold it up, grab the leather handle, and you’re ready to go. Which portable table top easels would suit your artistic style? Finding out where to buy an easel is easy. Most craft stores carry a variety of table top easels. The hard part is deciding which one you should choose. A beginner trying their hand at painting may find it more economical to purchase the US Art Supply Newport Small Adjustable Wood Table Easel. The included palette is ready to hold your acrylics, the workspace is ample, and it can be used as a display easel for tabletop use to show off your completed masterpieces. 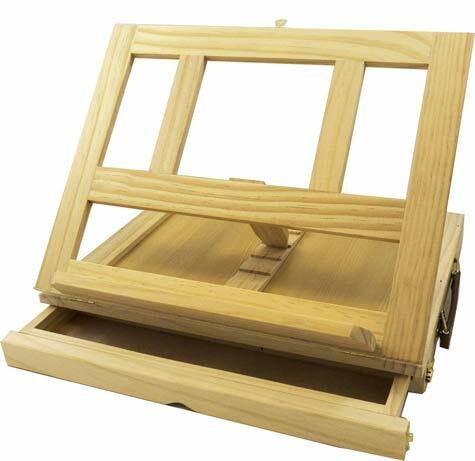 But if you like to draw as well as paint, try the US Art Supply “Solid Solana” Adjustable Wood Desktop Easel with Drawer. The compact design is lightweight yet it has the advantage of a large workspace. Canvas and drawing pads fit neatly into place. The portability allows it to be used as a table top easel or a mini desk that can be a constant companion for the traveling artist.